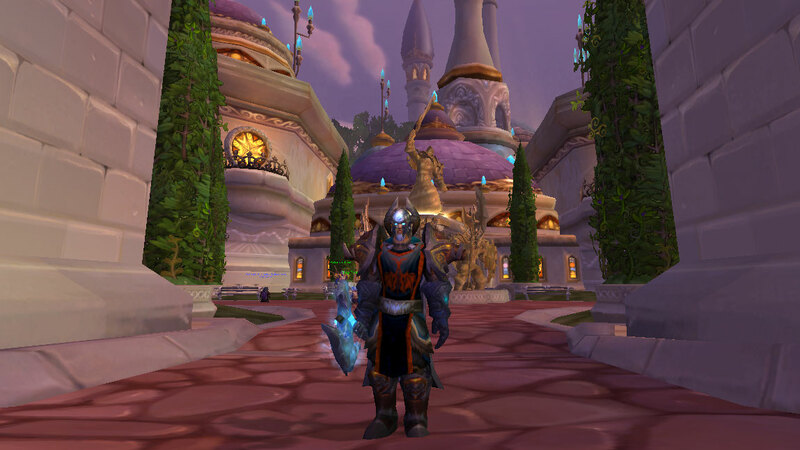 Oh yes, time for another World of WarCraft blogpost! About a week ago, a friend of mine from the old days sent me a scroll of resurrection to get me back in the game, sort of. For those who don’t know, scrolls of resurrection can be sent out to people who have dormant World of WarCraft accounts, enticing them with some cool rewards to get back into the game proper. As it stands, I can’t commit the time for an MMO now or in the near future, so my goals for this scroll were quite simple: chill with old friends and enjoy the free week. Given my immense backlog of books and e-books, I thought I’d finally start clearing it up one by one. Choosing which novel to read was not a particularly difficult decision though. As a long time player of Blizzard games, ever since the days of Warcraft: Orcs and Humans, Diablo and StarCraft, I have been enamoured of the worlds the company has created. And having read some previous novels such as The Last Guardian and Rise of The Horde, I was rather keen to delve into this novel, which is their chronological sequel. I played Warcraft: Tides of Darkness ages ago and going through the novel, I realized that this is very much a rough novelization of the events there-in. Video game novelizations generally tend not to be as good as the original material. Some aspect of the writer’s approach usually brings these novels down, which is a real shame. Character development, mission flows, dialogue, something always takes a hit when a video game is transformed into a novel. Unfortunately, that trend has continued in Tides of Darkness. Yes, I last played the game more than a decade ago and the novel is not an exact novelization but there are clearly strong links between the two. So where does the novel go wrong? A fairly busy few days I’d say. GW announcing their brand-new Citadel Finecast range. An amazing guy, Richard Marsden, fellow Boltholer, got his book Travelling Tyrant published a while back and he has been actively promoting it since. Read here for his success and the tips he has shared. Bolthole’s monthly writing comp is currently in its voting phase for the month of May, here. I’ve read some of the entries and they are just amazing. As usual. Unfortunately I missed again on it. Something I’d really like to change. People have been debating the new LOTR film – The Hobbit – here. It is an exciting movie for sure, if the book is anything to go by. And by hell and back it is! That’s on that front! The shoutbox was quite fun as well for the last few days, especially yesterday. A certain man-who-must-not-be-named predicted Rapture (Christian mythology) was yesterday and that the world would suffer earthquakes in every timezone at a specific time. Fortunately nothing happened, we are all still here even though the prophet himself has disappeared. Perhaps he was the only one pure enough for the Pearly Gates? Got a lot of laughs out of this whole farce. Wonderful time. Disclaimer: I do hope that people realize I am only joking here. But I do think it is funny and extremely sad that some people spent their entire life savings over this, or that some parents even used up their kids’ college funds. I find that despicable. In other news, I have been making serious progress on Project Salvation aka the Deathwatch novel. I got Ch1 and 2 done and they were about 2000-2100 words with about room for 200-300 words more to fill up details. And then I read something from Chris/Phalanx on Twitter and in the shoutbox and I got thinking. I made an excel sheet to figure out my wordcount plan. I was in for a rude shock. I had planned initially to have each chapter (10 total) at about 4500 words or so with about another 3000 shared between an epilogue and a prologue. Considering that BLP has mentioned the 100k range, I barely cover half that. So I started to plan it all out that way. Result: Most chapters have been bumped to 6000-6500 words each. The first three are currently at 4500 words still. My chapter-by-chapter breakdown has so far failed miserably so I am reworking things. The target for now is 91000 words. Still, progress has been made on the sample since last time. I have written about 6000 words so far, spread across (still) a prologue, and the first two chapters. And I have about ~4500 more to go. Then there is chapter 3 which is another additional 4500 words. Once I get a proper first draft going for the whole thing I am going to go back and pick out where things need to be beefed. And where plot holes need to be filled out. And generally make things flow much more smoothly. I am still doing that, but yeah. This is a T.R.E.M.E.N.D.O.U.S. learning experience and quite shocking too. I am aghast that my initial chapter plans only result in about 2500 worth of words for the sample. Definitely need to revamp things there. I have stuck with that 500 word a day challenge but it hasn’t been too successful as I haven’t written every day since. But when I have written, I have definitely written a fair bit. So that’s progress yeah? I also had an amazing week personally. I got to play World of Warcraft again. Sadly, I do not have Cataclysm and I was only using the free week of gametime courtesy Blizzard because I haven’t played in 11 months and they want me back as a customer. Unfortunately, as much as I’d like to, I cannot oblige them. Perhaps sometime in the future I can change things around. But it was definitely fun to reconnect with my guild and a few of my friends on the server. A few of them have stopped playing but there are still a few. For those who are interested, I played Alliance on US-Medivh. 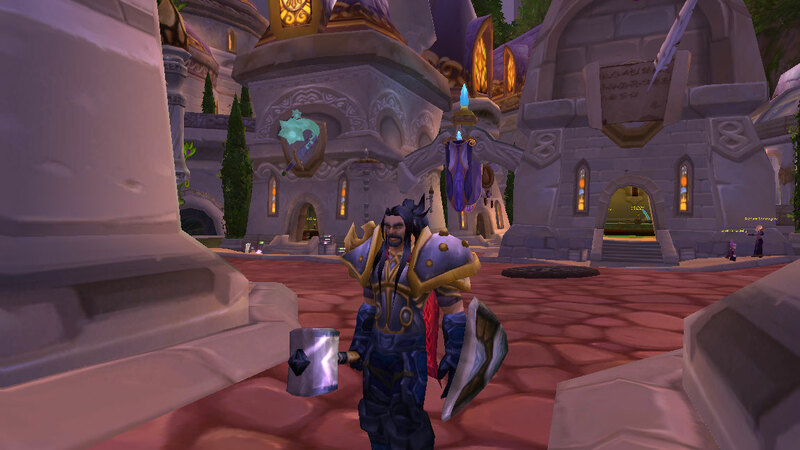 Here is my Paladin – Vorianloken. My second toon actually but definitely the first in terms of real interest and my pride and joy. 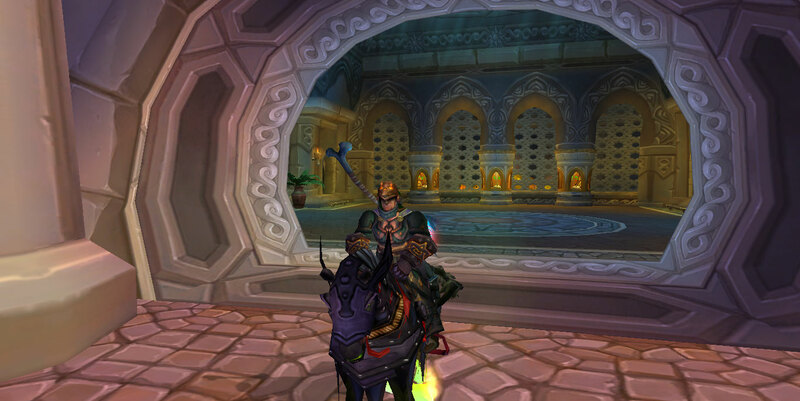 Here is my Death Knight – Ajeet. Proud of this dude too because He just rocks. This is my Rogue – Sherana. She barely hit 80 and done a few raids before I stopped playing. Here is my rookie Warrior – Bulveye. He is only 74 but still awesome. Have a Druid as well but she is on a separate account which I will reactive for the free gametime sometime this week and post a pic. I definitely used to be quite the raider when I was still playing. 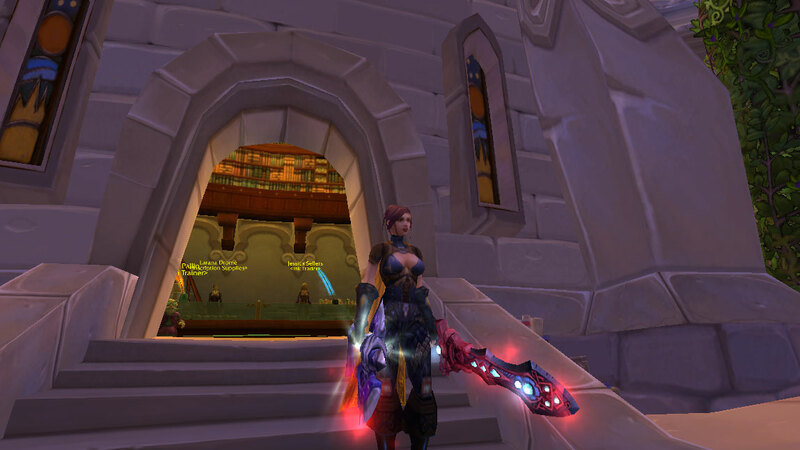 At one time my Paladin was ranked in the top 20 if not the top 15 on the server as a tank. Of course, that was during the infamous Trial of the Crusader era but damn, it was still progression for someone like me who was late to the party for both Naxxramas and Ulduar. I was part of the first wave of people into Icecrown Citadel as well but by then I had moved from L.A to Dubai and couldn’t afford regular hours. So my Death Knight there and the Paladin? They got geared in ICC through pugs. Some were obviously fail. Some were excellent. I even got some Gold DKP runs in as well and they were massively helpful in that the quality of the players was just generally so much better and I properly learned the encounters. Two months or so before I stopped playing, I had a system in place where I led raids for both TOC and ICC for the 25-man versions. They were fairly successful although not without some drama of their one. Its definitely something I miss. Quite acutely in fact. And I’ve been tossing around an idea for a space battle involving (suprise, surprise) Space Marines and Chaos Space Marines. I have some doodles and diddlings down. Will see how that goes.